I just returned from the most wonderful get-away--spending 5 days in Canada visiting Tracey McNeely with Kim Heggins. We have been plotting and planning this visit literally for years, and we were all pinching ourselves when it actually happened. 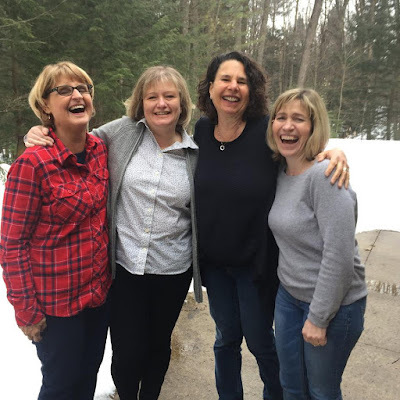 We all met through our blogs and challenges, and have had a FB chat open and going for 6 years. I have been lucky enough to meet and hang out with Kim a number of times over the years, but this is the first time either of us met Tracey. Tracey and her wonderful husband hosted us for 5 days, where we crafted, laughed, ate, and even managed to do a little sight seeing. We pretty much took over her house...We are so lucky that her husband is such a good sport (and grill master, uber driver and host par excellance). All the snow was very exciting for Kim and I, as we are California gals through and through. We were lucky enough to see Ardyth twice--once when she drove up to Tracey's house and then again when she hosted us for lunch on our way to the airport. It was an amazing week. We are already planning our next Crafty Caper. Take a look at Tracey's blog and Kim's blog for their write ups of our visit. And, now, on to the cards. I made several cards while at Tracey's and also stamped and cut loads of things to work on once I got home. We each tried to use each other's stamps and dies to create as much as possible using things we didn't have at home. It's going to take a long time to finish everything I started there, but I do have 2 cards I made for different challenges ending this week. I made this challenge using some of Tracey's stamps, and I followed the sketch at Freshly Made Sketches #332, where Tracey is the Guest Designer. 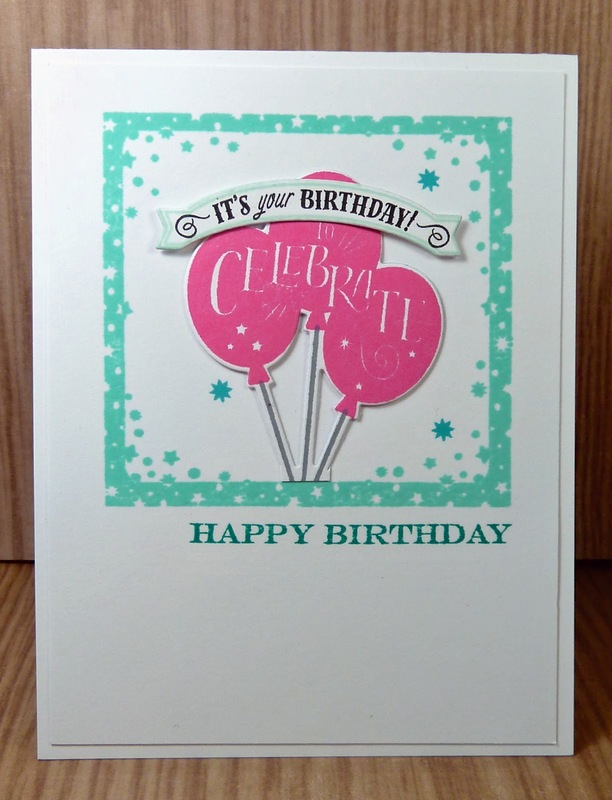 I also made a card for CAS(E) this Sketch #267, using some PTI stamps and dies that Tracey has but I don't. 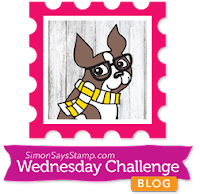 I am also entering this card at Simon Says Wednesday Challenge to Add Some Texture. I added Texture through different layers of die cuts. Well, I still have a lot to unpack, so that's it for me today. What a treat for all of you! Love those smiles. Love both cards Joyce, perfect take on the challenges! It looks like the trip was successful! Good for you to get a couple challenges submitted before all the post-vacation stuff has to be taken care of. 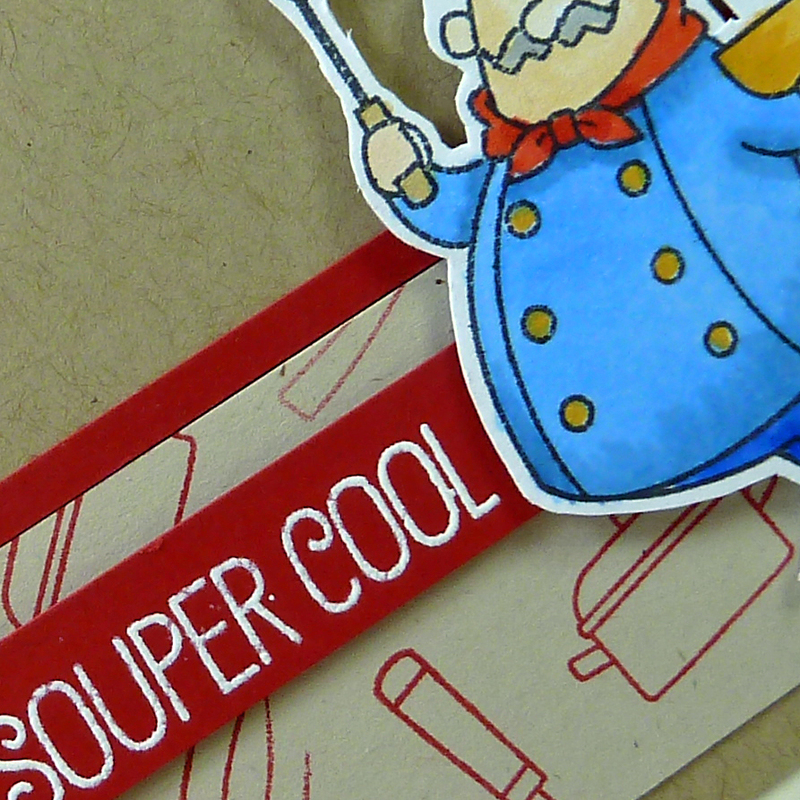 Your souper card is lots fun! Joyce reading your post makes me want to have a crafty adventure like the one you had--lol! It was such a pleasure to have you and Kim as my guests and we really did have a fantastic time. Of course since I know I have these stamps and dies I think I may have to outright copy/case these cars. 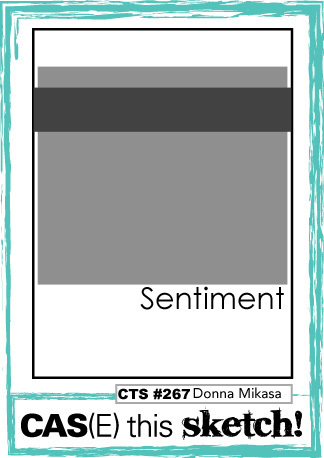 I love how you created your own patterned paper for your FMS card. 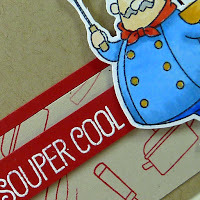 Thank you sharing with us at Freshly Made Sketches this week! I love a good pun, and this card is adorable. Thanks for joining us at Freshly Made Sketches this week! Love your cards so much! But seriously, I am super happy to see these lovely smiles. What fun!! Crafty friends are just the best! 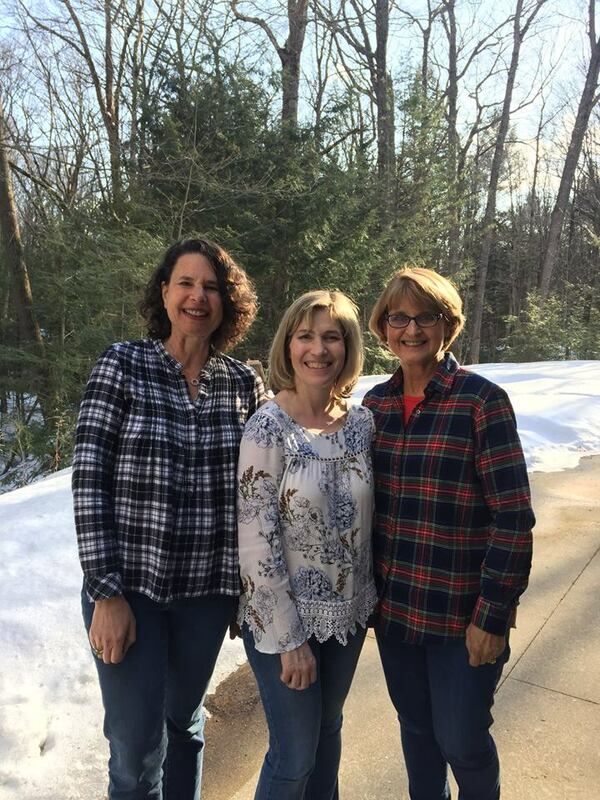 Oh, how wonderful that you got to visit with Tracey and Ardyth! I’m glad you could spend time in my beautiful country! Like I told the others, I'm so glad you all got a chance to get together and craft. It looks like you had fun and you also actually got cards finished. 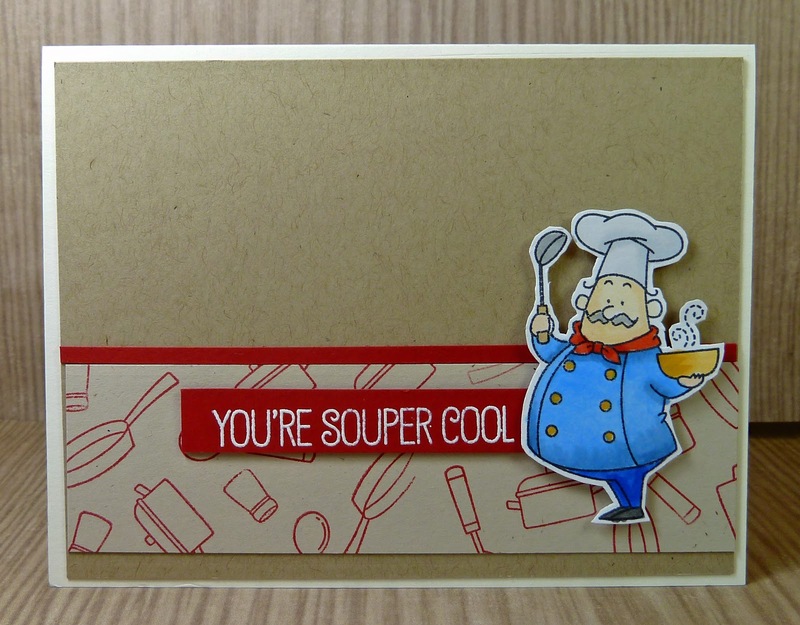 Your souper one is darling, Joyce, and the birthday one is a celebration on a card. Joyce...both of your cards look just as amazing on your blog as they did in real life at Tracey's winter wonderland! So many fabulous memories to carry me until our next Crafty Caper! Loved every minute crafting with you and Tracey, I still feel like I have to pinch myself to make sure it was all real! See you this summer. 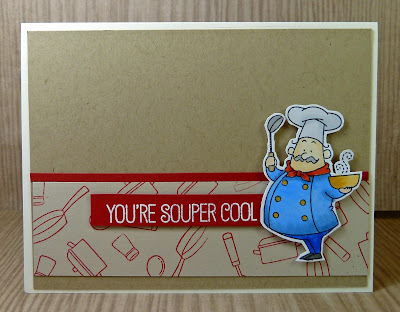 Oh...before I forget, 2 simply wonderful cards, so happy I have to stuff from Tracey's so I can CASE your sweet chef! It looks like you had a fantastic time, crafty friends are the best arent they. Gorgeous creations, love the chef. Sounds and looks like the most wonderful time! I loved seeing the photos of you all! Bet it was kinda nice to feel the cold weather too! Love all the cards you made! Fabulous cards and how fantastic to be able to meet up with crafty friends like that. 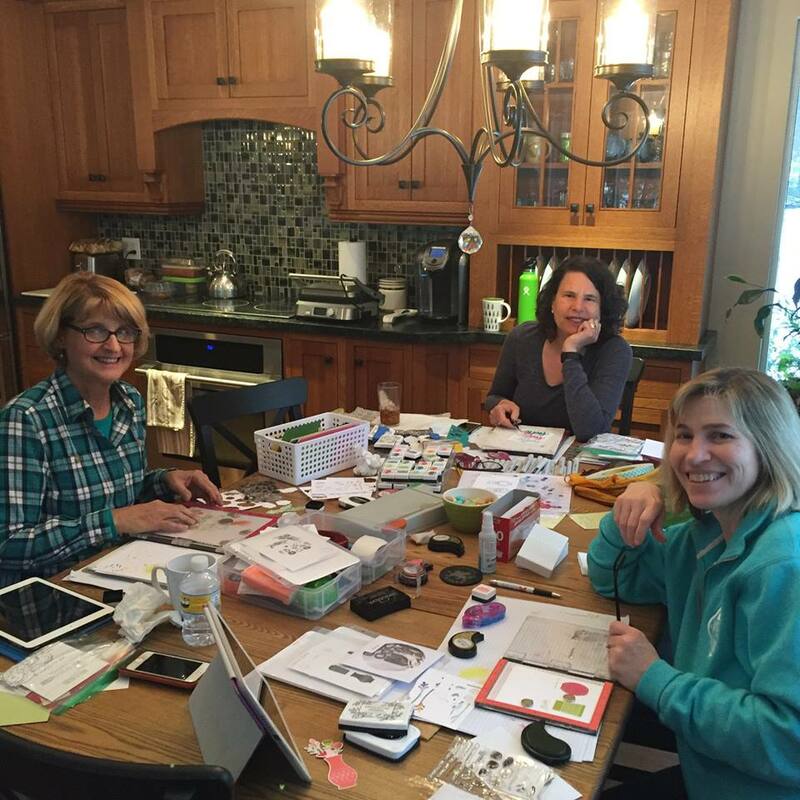 It looks like you all had a wonderful week and I bet it was fun stamping and trying out each others crafty goodness.